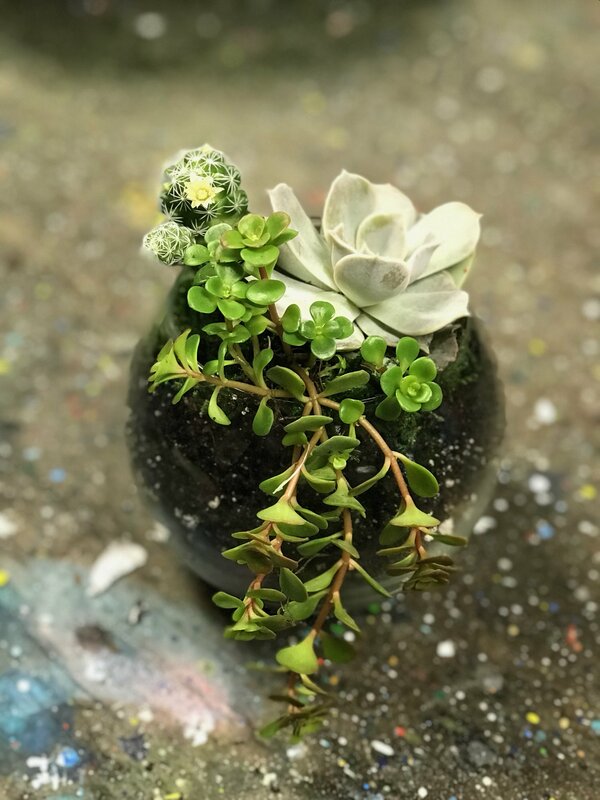 Join our team and other guests on this Terrarium Making and make a beautiful terrarium of your own while enjoying a drink of choice! Note: Pre-registration is required for all events. For this event we include all planting materials and an apron to keep you from getting dirty. You may cancel your reservation for studio credit or reschedule if done within 24hrs in advance prior to the time of your reservation; we do not provide any monetary refunds. Please note that no refunds, rescheduling, or studio credit will be provided for cancellations made within 4 hours of your reservation or no shows. GROUPON FEE: $15 Container Type: Bubble Bowl. Size: 5″. Amount of Succulents Included: 2. Price: $35 *Upgrade to another type of container available at the studio. **Prices per container may vary due to size and material.